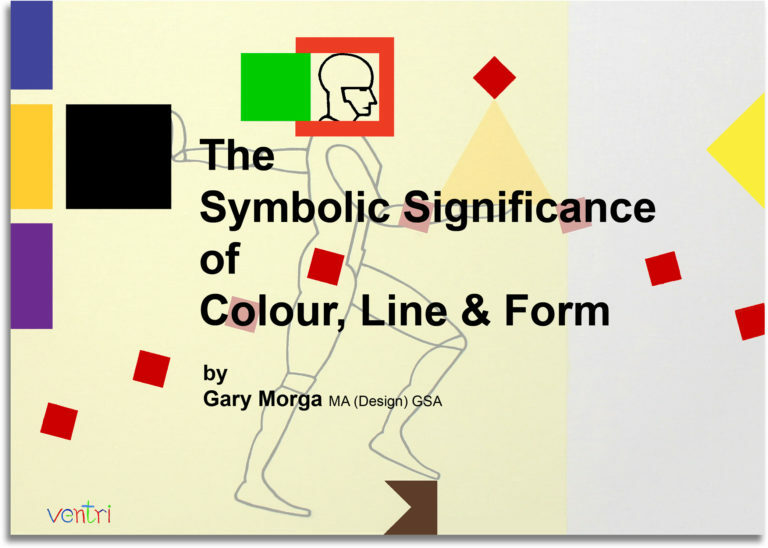 The Symbolic Significance of Colour Line & Form. Like written and spoken language, design language and visual language comprises of an arrangement of signs, a signifier and a signified in a context with meaning. A step-by-step practical guide through the methodology I use to synthesises written language, research notes, in to a visual language of sign-signifiers that are culturally significant. The method is in two parts; the first part results in a 2D solution, the second part results in the design of a an object. 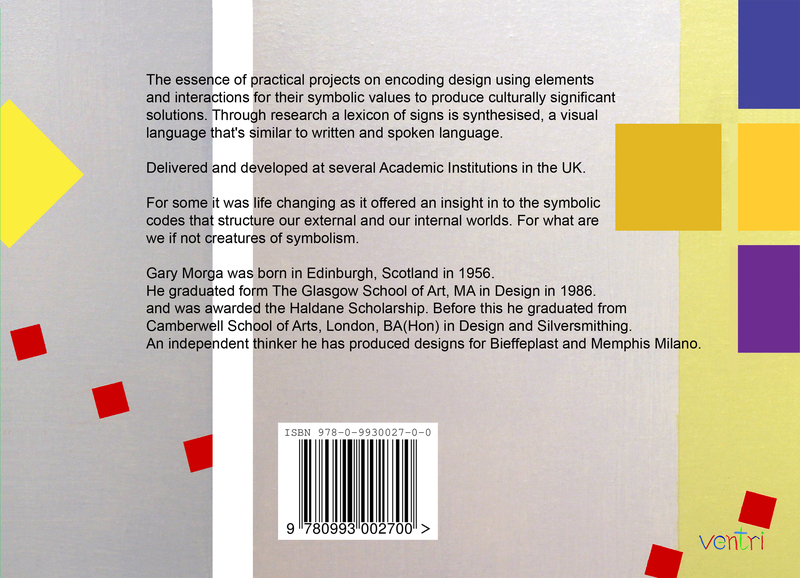 I delivered the methodology described in this design book, in various forms, to students attending undergraduate courses in design at a number of Academic Institutions in the UK. For some it was life changing as it offered an insight in to the symbolic codes that structure our external and our internal worlds. We are creatures of symbolism, we respond to the world symbolically. The Symbolic Significance of Colour Line and Form, Published by Ventri (ventri.publishing@gmail.com). The project that informed the book, SILS MARIA, the complete design project, is in the National Museum of Scotland’s, Contemporary Design Collection and is a part of the National Archive of Scotland. Copies of pages of the research, design and development (now in the museum) are in the book.